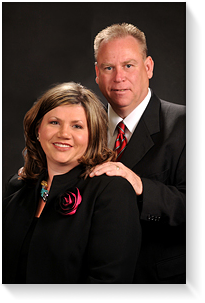 Tommy and Bobbie Kay Scoggins purchased Flesher Funeral Home, Inc. in October 2011 from the estate of Don S. Flesher. Flesher Funeral Home was a family owned and operated business that had been serving Van Alstyne, Howe and surrounding communities for over 50 years. Tommy grew up in Tioga, Texas and has been a Funeral Director & Embalmer for over 30 years. In the early 1980's, while attending Dallas Institute of Mortuary Science, Tommy began his career with Flesher Funeral Home where he worked funerals and the ambulance service. In recent years Tommy has been a contract funeral director and embalmer for several funeral homes in Grayson County. Tommy has many years of experience serving the needs of families which has allowed him to gain a broad knowledge of family needs and industry norms. Most importantly this has given him the opportunity to build relationships with people in the communities that he has served. Tommy is a licensed Funeral Director and Embalmer in both Texas and Oklahoma. Bobbie Kay Scoggins grew up in Van Alstyne, Texas and graduated from Van Alstyne High School. She completed her undergraduate degree from Austin College in 1997 and her Master's degree in Business Administration in 2001 from Our Lady of the Lake University. She is also a licensed Funeral Director. Scoggins Funeral Home & Crematory is a family-owned and operated full-service funeral home & Crematory that is available 24 hours a day 365 days a year to serve the needs of the community.